If you're having problems with your iPod touch, the first step in trying to fix it is one of the easiest: restart the iPod touch. A restart, also called a reboot or reset, can solve a lot of problems. It works just like restarting a computer: it shuts down all the apps that are running, clears the memory, and starts the device fresh. You'd be surprised how many problems this simple step can fix. There are different types of resets. You need to make sure you're using the one that fits the situation you're in. 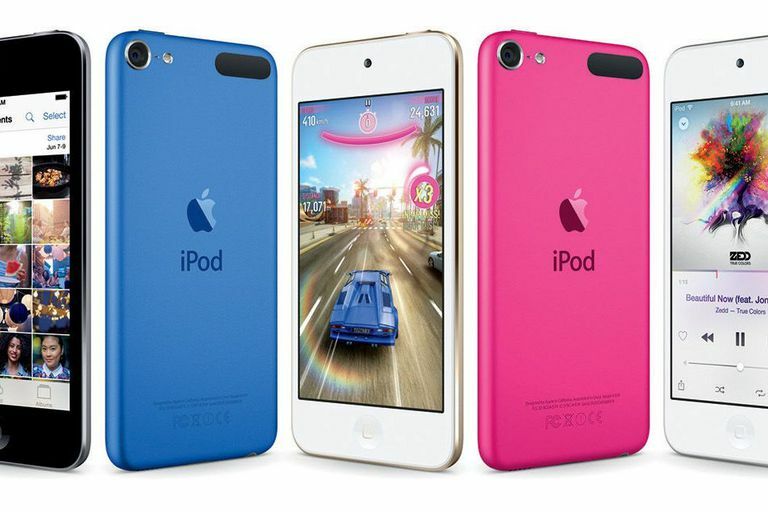 This article will help you learn about the three ways you can reset the iPod touch and how to do each of them. The instructions in this article apply all models of the iPod touch — all the way from the 1st generation through the 6th generation. Press the sleep/wake button at the top corner of the iPod touch until a slider bar appears on the screen. It reads Slide to Power Off (the exact words may change in different versions of the iOS, but the basic idea is the same). Let go of the sleep/wake button and move the slider from left to right. Your iPod touch will shut down. You'll see a spinner on the screen. Then it disappears and the screen dims. When the iPod touch is off, hold down the sleep/wake button again until the Apple logo appears. Let go of the button and the device starts up like normal. Hold down the Home button on the front of the touch and the sleep/wake button on the top at the same time. Continue holding them even after the slider appears and do not let go. A few seconds after this, the screen flashes and goes black. At this point, the hard reset/force restart is underway. In another few seconds, the screen lights up again and the Apple logo appears. Once this happens, let go of both buttons and let the iPod touch finish booting up. You’ll be ready to rock again in no time. There's one other kind of reset you may need to use: a reset to factory settings. This reset doesn't fix a frozen touch. Instead, it deletes all the data on the device and lets you return your iPod touch to the state it was in when it first came out of the box. Factory resets are used either when you're going to sell your device and want to remove your data or when the problem with your device is so serious that you have no choice other than starting fresh. Bottom line: it's a last resort. Read how to restore an iPod touch to factory settings. While the article is about the iPhone, since both devices run the same operating system, all of the instructions also apply to the iPod touch.